As noted in the most recent edition of The Week Ahead in Beer, the Crew put out the call for everyone’s favorite beers from New Mexico breweries for 2014. The replies from our readers, not to mention from all of our writers, were fairly diverse. We’re not gonna do an ultimate ranking or anything — you don’t want to get us started when it comes to debating such things — but we thought we would share our favorites, as well as the favorites of our readers. Bosque’s Scale Tipper won the IPA Challenge and naturally popped up on a lot of people’s lists. Scale Tipper, Bosque: What’s this? A hoppy beer on my list? Well, it did win the IPA Challenge, after all. I do love a hoppy IPA sometimes, but throw in a strong malt backbone the way John Bullard did and, well, win a trophy. 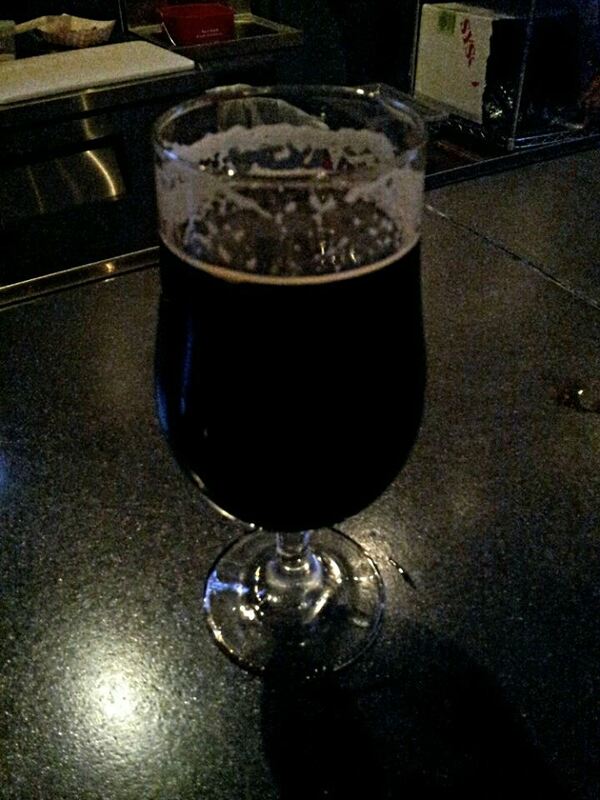 Jet Black Winter, Bosque: This wasn’t barrel-aged, so it wasn’t overwhelmed by bourbon flavors. It wasn’t sweet, either. Just big, thick, and mean. Really mean. Which made it wonderful. Russian Imperial Stout, Blue Corn: Smooth as hell, hiding its big ABV quite well. It was almost too easy to drink. La Negra, La Cumbre: The 2014 batch came out early in the year, then they busted out a barrel-aged 2013 version. For all the talk of being the hoppiest brewery in ABQ, La Cumbre does malty monsters well, too. 4th Anniversary Barleywine, La Cumbre: See previous comment about malty monsters at LC. This was a sweet, wonderful barleywine aged in rum barrels for a rather different flavor profile. We can’t wait till the 2015 version of Luna De Los Muertos is tapped. Stout #2286, Marble: This was a blended stout, a mad science experiment that just turned out so damn decadent. The bourbon flavor was there, but it was not overwhelming. Bourbon Vanilla Porter, Pi: The best beer at Hopfest was full of sweet bourbon, a little roasted malt, and just enough bourbon. Preacher’s Share, Second Street: Just darned ridiculous, my favorite beer of the otherwise forgettable Beer Premier. Yet another balanced, boozy, big stout. Luna de los Muertos, Tractor: This was yet another big, burly, wonderful imperial stout. Can’t wait for the 2015 version. It’s coming soon, right, David? RIGHT?! Turkey Drool, Tractor: The annual holiday treat did not disappoint this year. It was stronger than the 2013 version, but not as overpowering as the 2012 edition. All the flavors lived together in good balance. 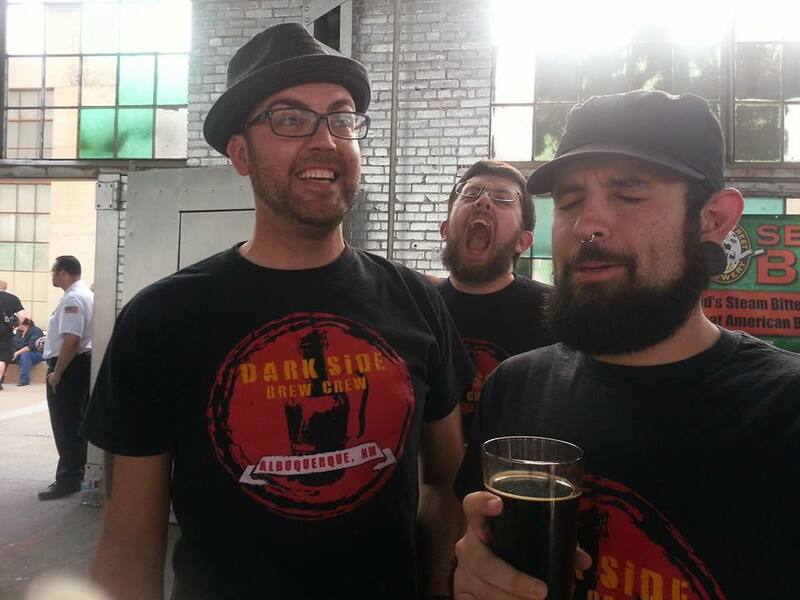 And, yes, I could have put the beers I helped brew this year (Dark Side Baltic Porter at Canteen, Hammer Smashed Stout at Tractor, Obey the Darkside Stout at Chama River), but you already all know how much I love those. Brandon, right, is just one of many who loved that there Preacher’s Share from Second Street. Preacher’s Share, Second Street Brewery: This was the find of the day during the Beer Premier event at the Railyards. So good I was almost in tears. It made another appearance during NM Brew Fest, where I was again almost reduced to tears. Such a huge, multi-faceted imperial stout. Hats off to Second Street for cranking it to 11 with this beer. Scale Tipper, Bosque Brewing: When John Bullard is your head brewer, you can expect quality beers. However, this beer was just a delicious monster. Not bitter enough to go into undrinkable territory, which says a lot given its 110+ IBU’s. Fruity/citrus notes were plentiful, which made it a great warm weather IPA. Well deserving of the win at the 2014 IPA Challenge. PSA (Pumpkin Spiced Ale), Bosque Brewing: Yet another beer from Bosque, definitely my favorite pumpkin beer to hit the local scene this past fall. A wonderful spice blend that accentuated the pumpkin accompanied a malty ale base. Already looking forward to next year, hoping for another great batch. Class VI Golden Lager, Chama River Brewing: There is a reason this beer took home the gold medal in its respective category at the 2014 GABF…it is just that damn good. Smooth and crisp, excellent malt profile. Wonderful stuff. 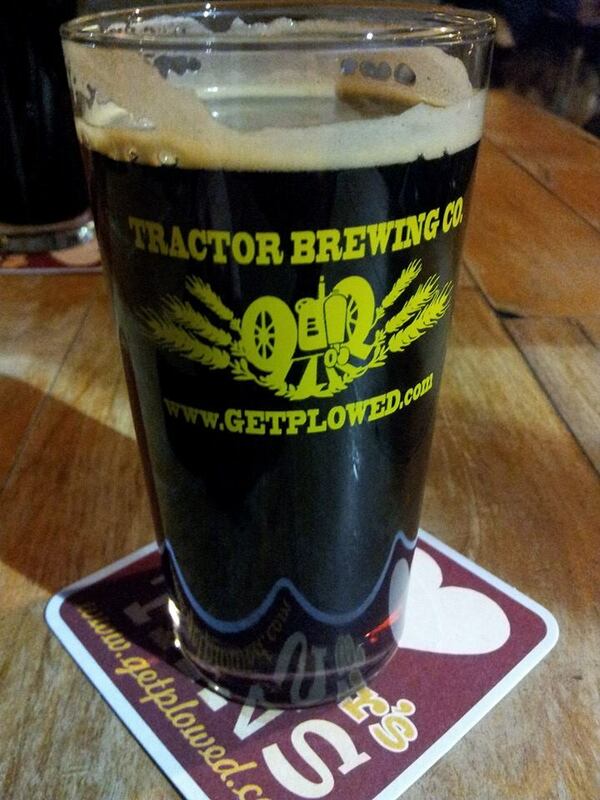 All of us were proud when our Hammer Smashed Stout won the Battle of the Beer Geeks at Tractor. As I haven’t had as much time and/or money to follow the New Mexico brewery scene as I used to, I haven’t been keeping track of my favorite beers. The two beers that stick out the most to me were the two beers that I had the opportunity to help make at Tractor and the Canteen Brewhouse. The two beers that I am speaking of are the Hammer Smashed Stout and the Dark Side Baltic Porter brewed in collaboration with Tractor Brewing Company and the Canteen Brewhouse, respectively. The brew crew also did a collaboration beer with Chama River, but I was playing music and visiting friends in Texas when that was being brewed. Check out our stories on each of these brewing adventures. Even though we brewed the Hammer Smashed Stout on a smaller system than we did on the Baltic Porter, the two beers had certain similarities that I really like in my beers, and I’m happy that I was able to be part of the creation of each. Brandon and Derek helped create the recipe for each beer, with some ingredients changing based on availability at each brewery. As such, I had very little impact on what went into the beers. People said “move that” or “stir this” or “get pizza,” and I said, “OK” and did whatever they said. 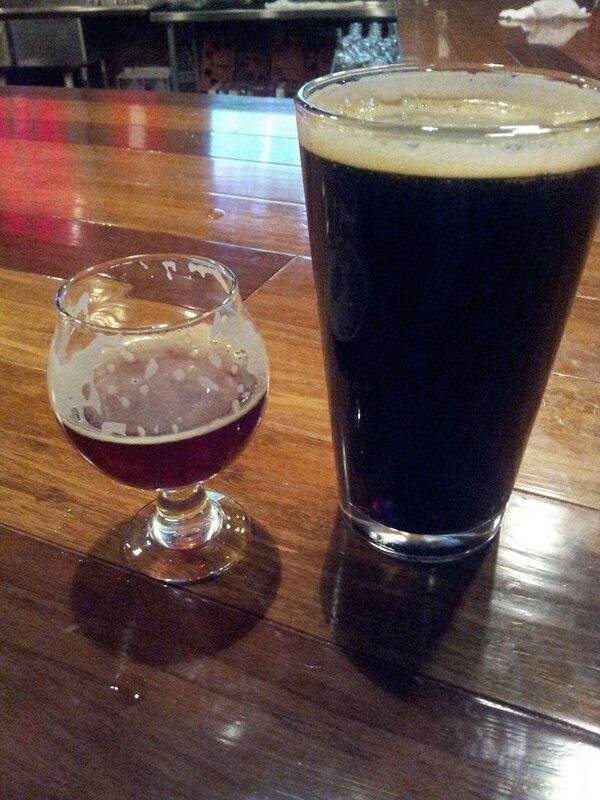 In both cases, the beers I helped brew were big, dark beers that were also very smooth. I was very happy that we achieved those characteristics, and I would like to thank everyone for the opportunities to have those great experiences. Happy brewing and happy beer drinking! You can all blame Franz Solo for the supply of Full Nelson running out so quickly. Whiteout, Marble: Wonderful balance of Belgian funk and tropical hops. A wonderful experiment which pays dividends in delicious flavors. Full Nelson, La Cumbre: My pick for local beer of the year. Balanced malt and monster hop profile. Nelson Sauvignon shines brightly in this nearly perfect brew. 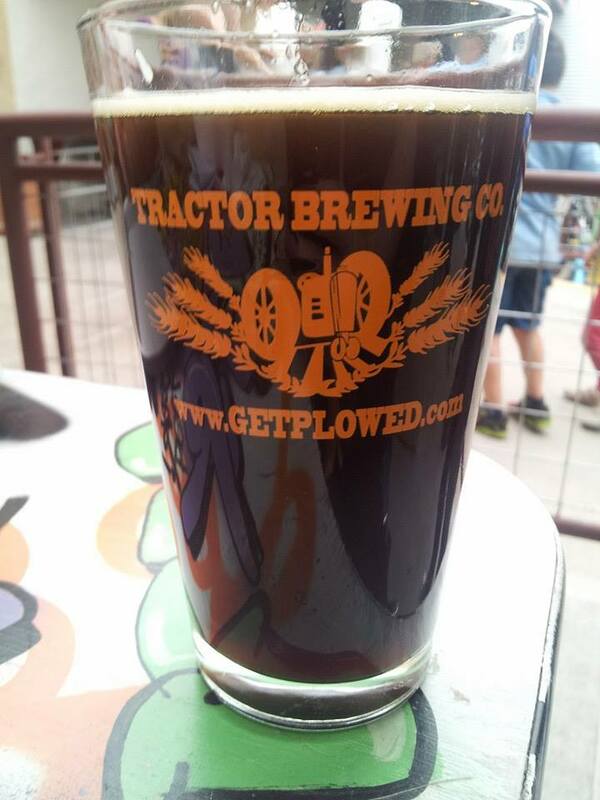 Tractoberfest, Tractor: Exactly what I love in a Märzen bier, mild sweetness and wonderful malt balance. Alpha Reaper, Blue Corn: Hands down my favorite imperial red of the year. Boozy and brash with so many layers of hop bitter and sweet. Scale Tipper, Bosque: Several versions of this came into existence this year and all were simply outstanding. IPA Challenge ’14 winner indeed. Vienna Lager, Canteen: I am not usually a lager fan, but this was just wonderful through and through. That there Paint It Black Milk Stout from Red Door, on the right obviously, was a decadent treat for us all. She’s a busy paramedic, so she ranked ’em for us real quick. He’s busy on a film set and claims he could not remember most of the beers he had in the past year. And all of the Crew’s other favorites deserved at least a mention here. Good old Sleeping Dog Stout is one of our reliable favorites on tap year-round. 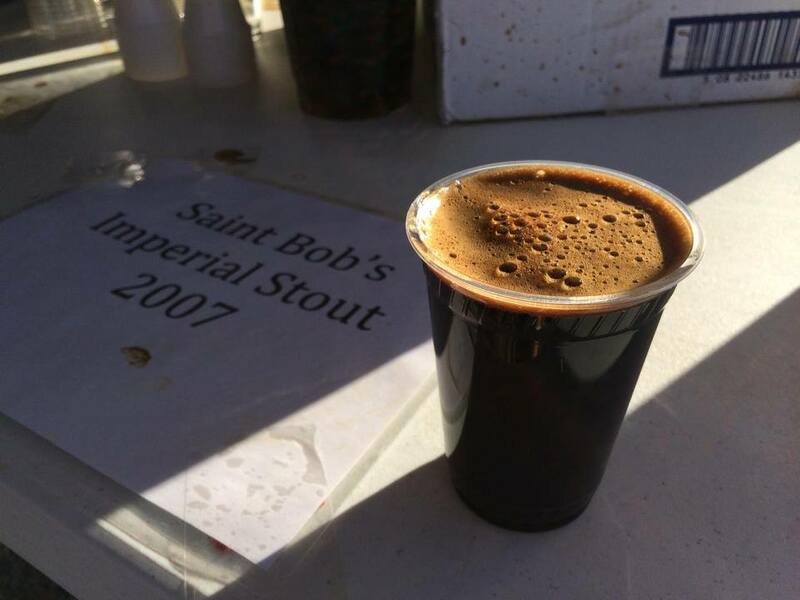 Yes, it was made in 2007, but they didn’t tap this St. Bob’s until July 2014. Bourbon Bacon Stout, Stumbling Steer: I loved it on its own, but it was pretty mind-blowing when eaten with bacon-wrapped dates at Bacon Fest. It could have partially been the festive atmosphere while enjoying all things bacon. But I enjoyed it very much the next day, too, at the restaurant. East Kent Ale, Boxing Bear: I was pretty stunned that this beer was so good right out of the gate when they opened. 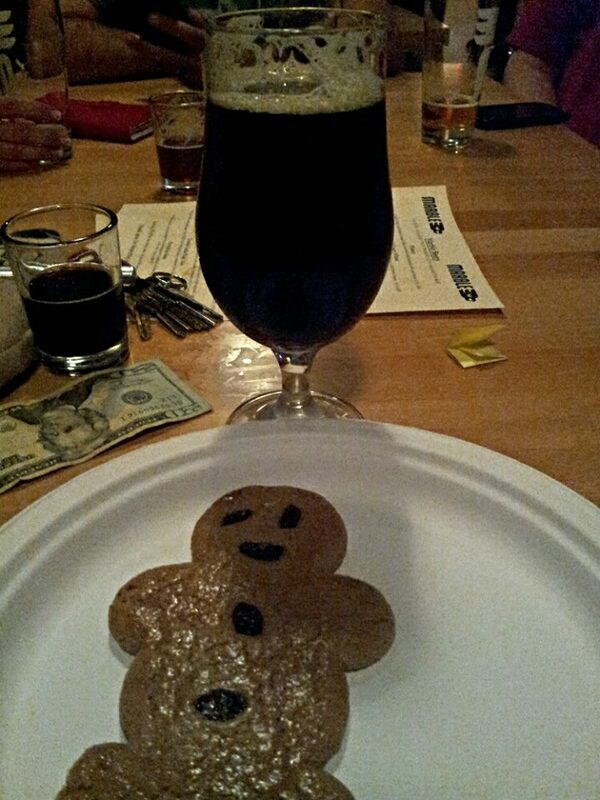 We’re not sure if Luke got a cookie with his first pint of Marble Reserve, but we can hope. Alpha Reaper, Blue Corn: This beer was big and just about my threshold for a beat-down-by-beer. It was a sign that things have changed at Blue Corn. Class VI Golden Lager, Chama River: This is a reminder of what smaller craft brewers can do with a typically bigger brewery category. Well-executed, with craft personality, this lager is cold fermented for a month. Time is on this one’s side. Yes it is. ECS Double White IPA, Santa Fe: This was a big bright breath of fresh-squeezed air from Santa Fe Brewing Co. Junk Punch, Taos Mesa: Again, damn. This odd style, the Dopple Oktoberfest, comes together well to form one of the larger palate-pummels of the year. Just be careful how you ask for it. Kriek, Santa Fe: This was a very well-balanced sour, with the right flavors coming through, and none of them overwhelming. Excellent on tap, it is easily my current favorite sour; and I’ve had my share of PNW sours. Blue Corn’s Russian Imperial Stout was delightful for being such a big monster. Reserve Ale, Marble: It’s strong and smooth, caramel-y, malty, and reason enough to officially add the word ‘bourbony’ to the dictionary. Oaked Grunewald, Duel: This big, Belgian-style Imperial Porter is a heavy, dark, oak medium, nuanced with strokes of fruity tartness, spice, chocolate, and wine. It says my German Renaissance Painter shall utterly destroy your German Renaissance Painter. 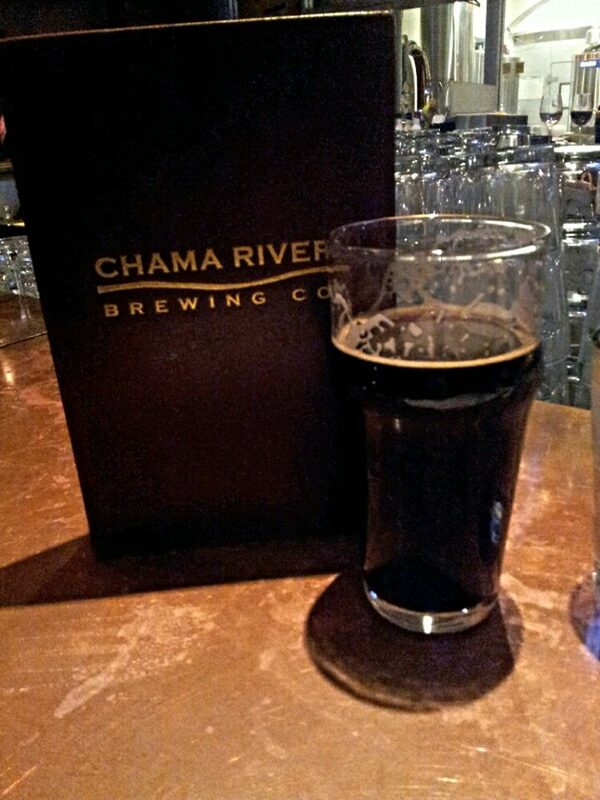 Red River Ale, Chama River: This probably upset my current champion for ESBs. Balanced and very drinkable, it’s not particularly low on ABV, but it’s what I would call sessionable. Great from growler to glass. Stout Americano, Marble: Almost a five for me, this beer had me heading back to Draft Station several times that week in March. Full Nelson, La Cumbre, was his one single favorite. Then he had to get back to work at Los Alamos National Labs. Many of our readers enjoyed this year’s batch of the 505 collaboration beer for ABQ Beer Week. Here are my highlights of NM breweries since my move here in October 2014! A little Dank never hurt anyone, right? 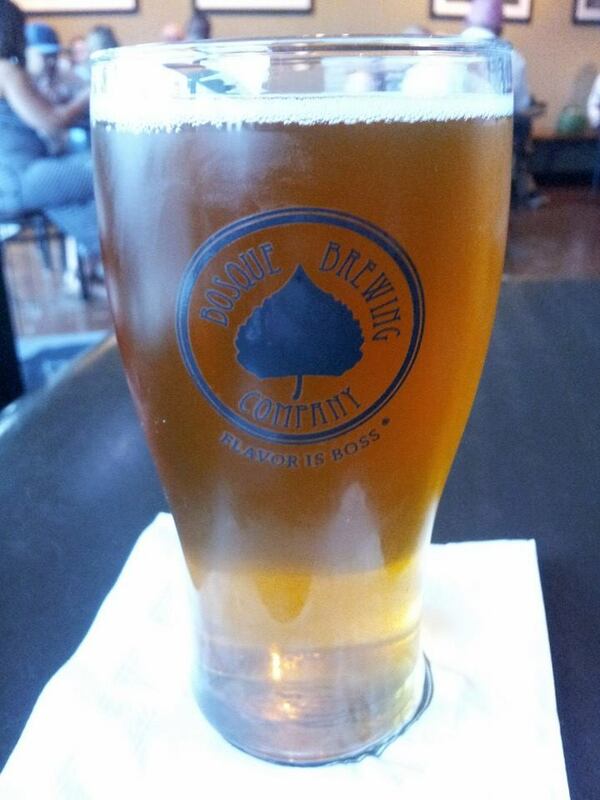 Project Dank, La Cumbre: Complex IPA with citrus notes, tropical notes, some pine and a sweet, malty finish. Elevated IPA, La Cumbre: Extremely hoppy! Big, big IPA. Heavy grapefruit and some tropical flavor. 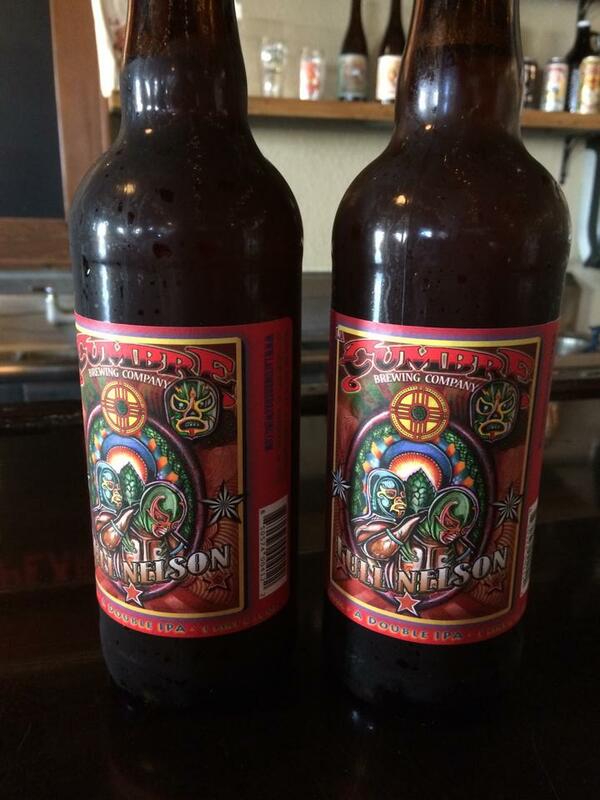 4th Anniversary Barleywine, La Cumbre: Rich, fruity, malty barlywine, caramel and toffee. Big and boozy. Fun beer but a five-ounce pour was plenty. 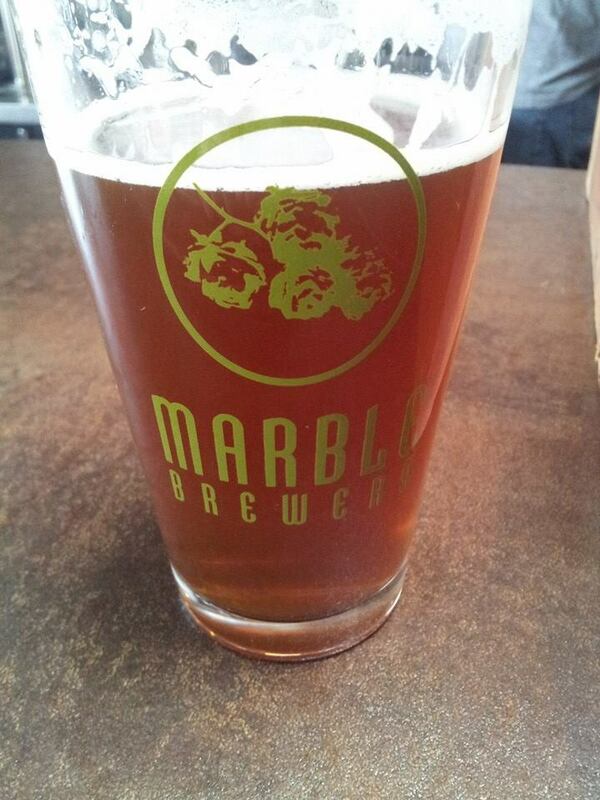 Reserve Ale, Marble (hubby’s pick): Nice bourbon barrel-aged ale. I thought it was a barleywine. Sweet, malty, and heavy bourbon flavor. Beer for my Horses, Cazuela’s: Everything a perfect oatmeal stout should be. Heavenly chocolate aroma, thick mouthfeel, dark chocolate, and hints of coffee bitterness. Gracias por Fumar, La Cumbre: Cannot drink a whole pint of this outstanding, barrel-aged smoked porter, but was very fun to try. Special mention — Red Ryeot, La Cumbre: Fun, easy-drinking Red Rye IPA. Sweet, spicy, hoppy and complex. I order this one at the Blue Grasshopper, a brewpub close by. Hope it takes a while for them to tap out. OK, that’s all from us. Most of you were too shy to offer your picks. Now you know what you’re up against. Unleash your opinions on all the various commenting forums! And then go drink more great New Mexico beer in 2015.